The sign said they were Extra Hands, without elaborating on their purpose. So I asked the shopkeeper what they were for, after he finished getting a stuffed jackalope down from a high shelf for a blue-haired lady. He told me that they were exactly what the sign said. 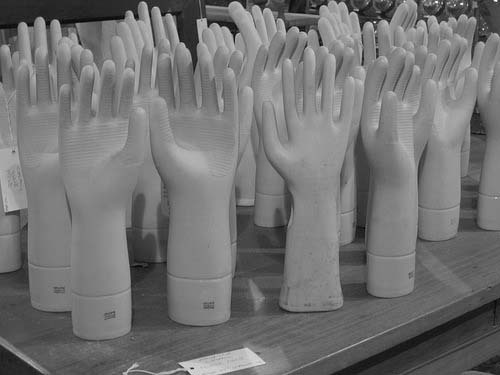 Extra Hands, for doing anything you might need a hand with. The blue-haired lady bought a dozen. I only bought one, even though I felt like they should stay in pairs, because they were kind of expensive. I was going to give it to my sister for her birthday, but now that I’ve had it for awhile, I think I’m going to keep it. It opens jars and pours my coffee. It signs for packages and pets my cats.